We live in an age where scientific progress continues to transform human lifestyle. This is evermore true when it comes to the progress being made in the field of nanotechnology. This science stands to change and advance the practice of design in a multitude of ways – where architecturalprogress is being made at the molecular level. The paper NanoBioBuilding: Nanotechnology, Biotechnology, and the Future of Building by Dr. George Elvin states that “architects and other designers will become increasingly ignorant of the composition and consequences of the materials they use.” He explains that some designers are familiar with “self-cleaning windows” and “smog-eating concrete”, but only a handful of designers could state that titanium dioxide nanoparticles are responsible for these behavioral materials. (1) This is why it is so important for designers to keep informed of scientific developments. By working on “fields of interaction” architecture professionals will have some framework by which to design for dynamic environments. Since smart architecture will be changing states and communicating heavily, architects will likely focus on relationships as much as they focus on designed forms during the design stage. (1) It is likely that both forms and their relationships will make up rule-based systems by which smart architectural spaces can function. 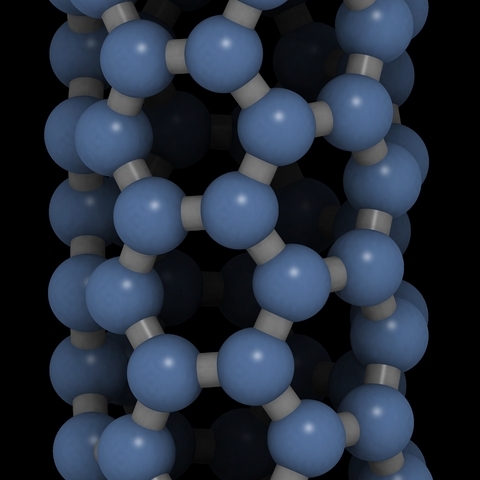 The science of nanotechnology continues to progress and the design field stands to benefit. As nanotechnology develops, new architectural techniques will surface. It is my belief that design creativity will reach new heights as innovative nanomaterials and nanosensors come together to give designers a renewed palette.